Now I Can Sell My House as Fast as I Want to. Are you looking to sell your IA home quickly and still get top dollar for it? Then you really should give the team at Finally Sold a chance to buy it. Nowadays, many people are asking themselves "How to sell my house fast." Well, we have a solution for you; it's The Finally Sold Way™. With Finally Sold, selling your house, townhouse, loft, or condo has never been quicker, simpler or more convenient than ever before. As the premier homebuyer in Iowa, we buy houses in any condition, area, and price range for cash. 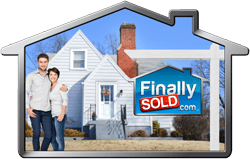 Simply put, The Finally Sold Way™ provides you a better alternative way to sell a home fast versus the rigid and outdated Real Estate Agent Way. Not only does Finally Sold give the control back to YOU where it belongs, but it also gets you these three important things that the Real Estate Agent Way simply cannot provide: SPEED, CONVENIENCE, and CERTAINTY. Unlike when you try to sell your property with a real estate agent who is hoping and praying that they will eventually find a retail buyer who can qualify for a mortgage. We are a large real estate investment company that has the funds readily available to purchase your home at a moment's notice. 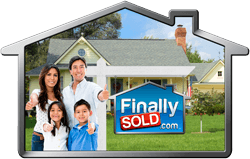 We truly can help you sell your own home fast because we are the actual buyer. You see, we purchase properties all throughout your state. We will pay cash for your home, and we can do it as quickly as you want us to. We will even pay for all of the real estate closing costs. In other words, with The Finally Sold Way™ you will safely have cash in your hands in a flash. How fast you ask? We can typically close the sale of the home through a secure and government regulated title company or real estate attorney within just 10 days of you contacting us. And if 10 days is too quick for you, then we will let you pick whatever closing date you want. With The Finally Sold Way™, YOU get to call all the shots! There is a time and place for everything, and NOW is the time to get your house FINALLY SOLD today! 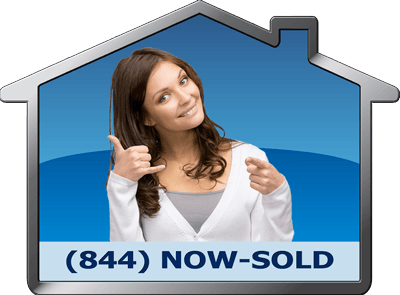 So, before you make that next mortgage payment, contact Finally Sold on-line, or pick up the phone and call us toll free at (844) NOW-SOLD. It’s no wonder that once you experience the Speed, Security, Convenience, Professionalism, and Certainty of The Finally Sold Way™, you will NEVER want to sell your property any other way again!!! 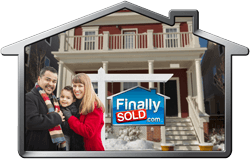 Sell Your Cedar Rapids Home Quickly, Easily, and Safely For Cash Today! Here are some of the other nearby cities and regions around Cedar Rapids and Linn County where we are actively buying houses, townhouses, lofts, and condos in: Coralville, Iowa City, Marlon, Muscatine, North Liberty, and Waterloo. The Sac and Fox people were the earliest inhabitants of the modern-day city of Cedar Rapids long before the European encounter. Osgood Shepherd has been documented to be the 1st permanent settler of this area, and he arrived at around 1838. That same year, another settler named William Stone named the emerging community the town of Columbus. Three years later, this town was renamed for the rapids within the Cedar River. This city was officially incorporated in 1849 and was able to annex the town of Kingston twenty-one years later. Cedar Rapids is located in Linn County, where it serves as the county seat, in the eastern part of the state of Iowa. It is estimated that about 140,000 people call this city home, making it the 2nd most populous in Iowa, and is part of the larger Cedar Rapids metropolitan statistical region. This city has been nicknamed the CR or the City of Five Seasons and covers an area of about 72.1 square miles. This city is characterized by a humid continental climate which features long and cold winters while summers are humid and hot. This city receives about 35 inches of rainfall every year. The month of June is known to be the wettest with about 5 inches of rainfall while January is usually the coolest with less than an inch. July is the warmest month of the year with average highs of about 84 degrees Fahrenheit while January is known to be the coolest with average lows of about 11 degrees Fahrenheit. Movement here is very efficient due to the presence of a well-developed road network and flight services. The I-380 is the most notable highway that crosses this city. General aviation services can be accessed through The Eastern Iowa Airport; founded as the Cedar Rapids Airport. This town is endowed with various museums and theaters that preserve the art and heritage of its people. The African American Museum of Iowa has various collections made up of various exhibits detailing the history and art of the African Americans within this city. The National Czech and Slovak Museum and Library explore the history and art collected from the countries of Slovakia and Czech Republic. The Carl and Mary Koehler History Center is made of literature and related memorabilia that explain the history of this city. There are various parks and preserves that are equipped with various unique facilities for the utmost recreational experience. The Ellis Harbor is a neighborhood park that offers a good area for bird watching and fishing. The NoelRidge Greenhouse is known for its wide variety of annual and perennials as well as tropical plants. The Off-Leash Dog Parks is a favorite stop for dog owners and are equipped with bath areas for the pets. The Bever Parks is known for housing the Old MacDonald’s Farm which has animals such as waterfowls, piglets, and calves just to mention a few. The Cleveland Park is a favorite stop for swimming fans and also has a Splash Pad for kids. The McGrath Amphitheatre offers a good platform for concerts and community events held all year round. Some of the zip codes that we service from this local Finally Sold branch are: 50126, 50701, 50702, 50703, 50704, 52240, 52241, 52242, 52243, 52244, 52245, 52246, 52302, 52317, 52401, 52402, 52403, 52404, 52405, 52406, 52407, 52408, 52409, 52410, 52411, 52497, 52498, 52499, 52761. If your home is outside of this area, then please visit our main Iowa page or USA Map to select your appropriate region so that we can connect you to the right local home buying branch. 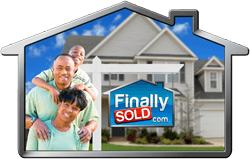 Finally Sold is a national real estate investment company that specializes in helping homeowners sell quick for cash. We are not Realtors® or a real estate agency. We instead purchase houses and real estate for our benefit. No "Agency" is created when selling a property to us. We are an Equal Housing Opportunity provider. We do business in accordance to the Federal Fair Housing law. One or more franchisees of Right Now Capital, LLC and the Finally Sold Brand may be licensed real estate agents. Why Sell to Finally Sold? 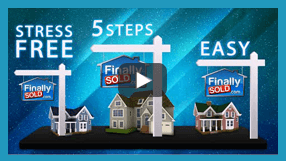 How Our Home Buying Program Works? 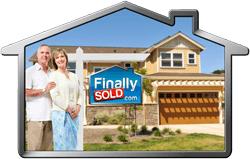 How to Sell Your Iowan House for Top Dollar! Getting your home sold fast has never been easier. Simply call us Toll Free at (844) NOW-SOLD [(844) 669-7653], or merely fill out our short form on-line, and one of our professional home buying consultants will promptly contact you to schedule your FREE, no-obligation in-home consultation. One of our professional and friendly consultants will meet with you to view your home at a time that's convenient for you. This professional and thorough evaluation process is painless, and it will only take about 15 minutes to complete. Don't worry if your home isn't in perfect shape, because we purchase homes in any area and in any condition. Now you can sell the house fast and still get a great price too. Our field consultant will sit down with you and go over our top dollar home buying formula in a simple and easy to understand manner so that you can easily see how we arrived at our generous offer price to buy your home. Homeowners are amazed when they see our competitive offer and quickly realize how it is truly a “No-Brainer” to sell their house to us versus using a Real Estate Agent instead. Also, with The Finally Sold Way™, you will NEVER be asked to make any repairs to your home, and there are NEVER any fees or commissions to sell your property to us. In fact, we will even pay for ALL of the real estate closing costs too! Once you accept our purchase offer, you will receive all copies of the paperwork right there on the spot. We will then open escrow with a licensed and state regulated Title Agency, Escrow Company, or Closing Attorney to safely and securely close the transaction in just 10 days or on the exact closing date of your choice. Your wait is over! Not only do you get your House FINALLY SOLD with ease, but you get your home's sale proceeds quickly too. And best yet, you won't have to deal with all the stress, headaches, anxiety, inconveniences, and delays of using the old-fashioned and sluggish way of listing it with a real estate agent. It's no wonder that once you experience the speed, security, convenience, professionalism, and certainty of The Finally Sold Way™ that you will NEVER want to sell a house any other way again! Your Wait Is Over...Get Your House Finally Sold Today! Selling a house without a Realtor® is easy because we buy houses in Linn County and throughout the entire state of Iowa. Simply fill out the form above to give us basic information about your property. Remember, you are under no-obligation to sell to us, rather you will be just giving us enough information to start a dialog about your home and setting up a free consultation. So, if you want to get your house sold quickly and safely for cash, then please simply complete the form above. We will give you a cash offer for a fast 10 day sale, or for a closing date of YOUR choice. What... Your Home NOT In This Area??? No Worries!!! 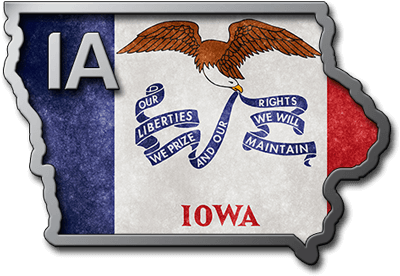 Click here to see all the other areas of Iowa that we buy properties in. What... Your Property NOT In IA Either??? No Worries!!! 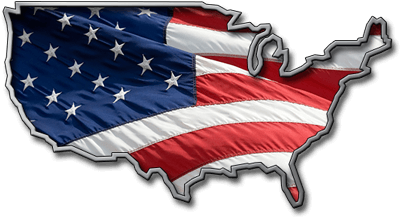 We Buy Homes in ALL 50 States. Click here to sell it in any of the other 49 US states. "WOW! We couldn't be happier!" "AMAZING! Way more than I expected!" "We would use them again in a heartbeat!" "Finally Sold is the BEST - THANKS!!!" "$84,750 - Just like they promised!" "We didn't think it could be this EASY!" © 2014 FinallySOLD.com - A division of Right Now Capital LLC. All rights reserved.